MOSCOW, January 27. /TASS/. Russia’s draft of Syria’s Constitution generalizes the proposals of the Syrian government and opposition groups over the past years, Russian Foreign Minister Sergey Lavrov said on Friday. "The draft Constitution attempts to bring together and find shared points in those approaches that were outlined to us both by representatives of the government and representatives of the opposition, including all those present here, over the past several years," Lavrov said. "Some of the oppositionists said the other day that the Constitution should be written by the Syrians themselves and compared this draft to the Constitution, which the United States had imposed on Iraq. This is a very incorrect position because in Iraq the talk was about occupants who had written the Constitution and it was imposed on the Iraqi people as an uncompromising text. 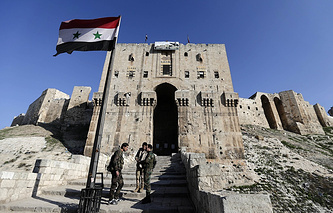 In this case, the talk is about the proposals that have been transferred for consideration by the Syrian sides themselves," the Russian foreign minister said. 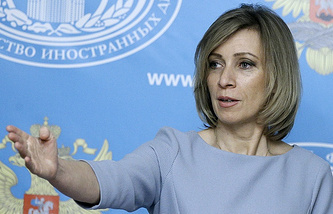 "We are convinced that it is time to stop arguing round and round the subject and it is necessary to focus on discussing specific issues that were outlined in Resolution 2254, including the work on the Constitution," the Russian foreign minister said. "Moscow does not impose its own solutions, it just offers to speed up very complex work on drafting such a document," the diplomat said. "No one is going to argue with the Syrians themselves about these sovereign issues for Syria.". There is no reason to further postpone intra-Syrian talks, he went on. Representatives of the Riyadh group of the Syrian opposition were invited but refused to come to Moscow for a meeting in the Russian Foreign Ministry. 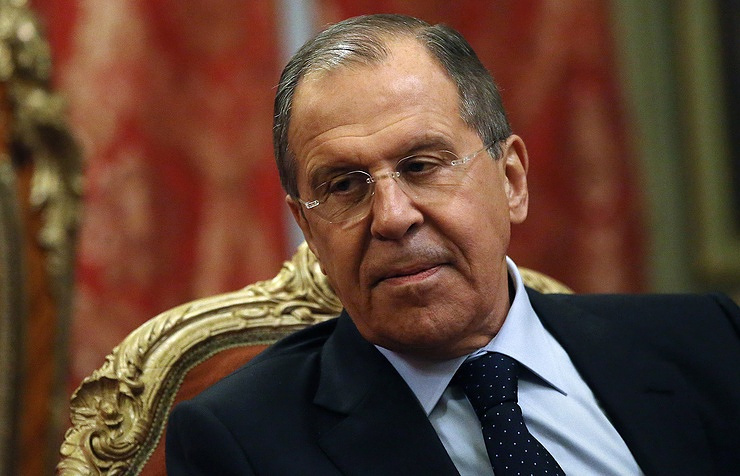 "We invited the representatives of the Riyadh group to Moscow, they said they would come, but later said that they should contact with us independently, and not part of progressive democratic opposition forces," Lavrov said. "The Riyadh group has said it is only possible to sit down for the talks after the cessation of hostilities," he said. "Once that the military actions have been terminated and a cease-fire established, there should be no slim excuses," he added. "If we always look back at the position of the Riyadh group, we can never make progress in the intra-Syrian settlement," Lavrov said. The Astana talks became a qualitatively new step in the Syrian settlement as they were attended by the armed opposition, according to Lavrov. Russia’s top diplomat made this statement at a meeting with representatives of the Syrian opposition. "We view the Astana event as an important and a qualitatively new step towards settlement because now these processes involve armed opposition groups, which have not participated until now in contacts with the government and, as a whole, in the processes related to negotiations on the country’s future," the Russian foreign minister said.